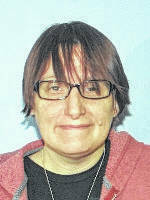 GALION — Joey Horton, 46, of Galion,will spend the next five years in prison after changing her plea in Crawford County Common Pleas Court on Wednesday. On Monday, her co-defendant Michael Shaw, 36, of Galion received the same sentence. The two were accused if cooking meth in an Atwood Street apartment in Galion. 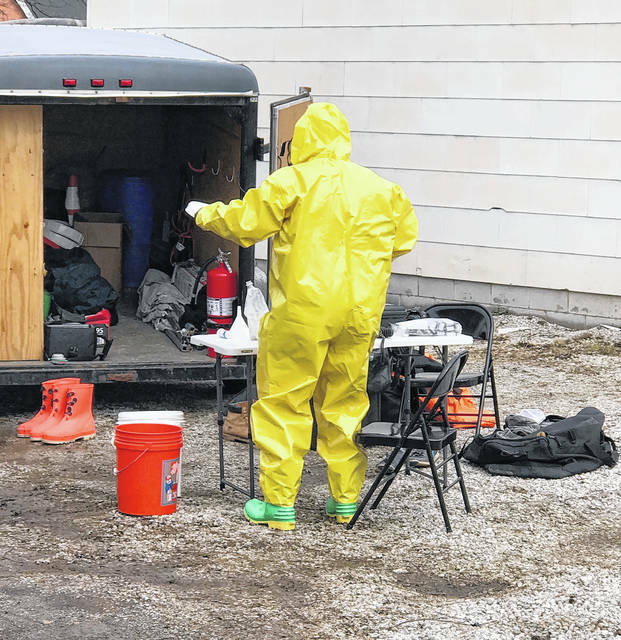 Galion police and others raided the second-floor residence in February. Leuthold explain that because it’s getting harder to purchase heroin in Crawford County, people are turning back to meth for a quick fix. Leuthold ordered all chemicals related to the arrest to be forfeited to the Galion Police Department for proper disposal. In other court proceedings, Brian Hall, 40, of Shelby, was sentenced to 18 months in prison. Hall appeared in Crawford County Common Pleas Court with his attorney Brian Gernert. Hall originally was scheduled for a hearing to determine if he had violated the conditions of his community control. During a traffic stop, police discovered a 10-year-old child in the rear passenger seat of the vehicle. A relative picked up the child. Probation Officer Mark Alspach testified that when Hall was placed on community control last November, his case had been transferred to Richland County, since he resides in Shelby. Alspach learned of Hall’s interaction with police in an email he received from Hall’s Probation Officer in Shelby. Alspach testified that on Jan. 26, Hall possessed a drug-abuse instrument, a .25-caliber handgun and illegal drugs. Gernert said Hall would plead guilty to the drug-abuse instrument condition violation, but not the other two alleged violations. After being found guilty of violating the conditions of his community control, Hall was sentenced to 12 months in prison. After the conclusion of that hearing, Hall met with his attorney and made a plea agreement on the newest charges and received an additional six months in prison. Before sentencing, Hall’s attorney made comments to the court. Gernert noted his client had been gainfully employed and current on child support for five children. He said a couple of life-changing circumstances occurred that put Hall into a deep depression. He went on to note that at one time his client had been in counseling and tested clean every time he was tested. “We would appreciate the court’s consideration of these facts,” Gernert concluded. Also, Monica Dees, 46, of Crestline, had a previous bond revoked andwas sent to jail. She tested positive for heroin, cocaine and fentanyl when she was given a urine test prior to her hearing. Dees was facing one count of theft of drugs and had been free on a $25,000 bond. In what Judge Sean Leuthold called a “shockingly dangerous cocktail of drugs,” he noted the poor condition of Dee’s health. Leuthold said he really had no choice but to revoke Dees bond. Leuthold said the court would closely monitor an in-patient treatment program and maintain control over Dees’ recovery.